Princess Cruises is pouring a new craft beer to toast its upcoming 50th anniversary. The “Seawitch” West Coast IPA beer – playfully named for the company’s iconic logo – was developed exclusively for Princess Cruises, in partnership with award-winning Strike Brewing Company, and is the first in the line’s new series of craft beers. The brew will be introduced aboard Regal Princess when the cruise ship debuts in Florida for a season of Caribbean cruises this November. Strike Brewing Company, located near San Francisco – one of Princess Cruises’ home ports – is an award-winning microbrewery well known to fans of local craft beer. The Seawitch West Coast IPA (India Pale Ale) features the balanced aroma of lightly roasted malt and barley which is strongly accented by the crisp dry flavor of a unique hop blend. 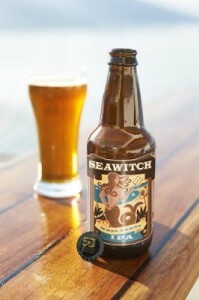 The Seawitch West Coast IPA will retail for $6.25 and be available in bars and lounges throughout Regal Princess. It is expected to be available fleetwide by early 2015. The cruise line will roll out additional Seawitch craft beers in partnerships with regional breweries that specialize in local flavors and represent some of the cruise destinations Princess ships visit. Princess Cruises will officially kick off its 50th anniversary year with the naming ceremony of Regal Princess on Nov. 5 in Ft. Lauderdale. The company is honoring the role the The Love Boat played in its five-decades-long history by having the original Love Boat cast members serve as godparents for its newest cruise ship. More information about the 50th anniversary and new Regal Princess cruise ship can be found at http://www.princess.com.